John Benson just got his shiny new iPad 3G and he’s rather excited to try it out. But the thing is, the iPad uses the rather newfangled MicroSIM and as everyone is aware of by now, those things aren’t really available everywhere just yet. I failed to mention, he lives in the UK. At this point I’d probably give up and use wifi until MicroSIMs become available where I am and rant about how much I wasted all that extra money for an iPad 3G. Good thing Mr. Benson didn’t give up. He was able to convert an ordinary Vodafone SIM card into a MicroSIM, and he did it with – you won’t believe this – a chopping board, a meat cleaver and a pair of scissors. I know, I know. I can’t believe it myself. 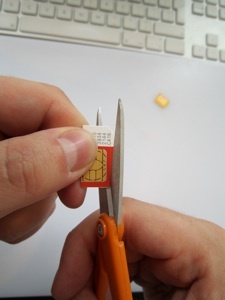 But he was able to cut the SIM card into the required dimensions without ruining the contact points. The only parts that matter to us are the contacts which are common to the MicroSIM and SIM. Electronically, the SIM and MicroSIM are the same so we can cut the rest away and not worry (so long as we are careful). Basically, you have to line up the MicroSim on top of the bigger SIM card and make sure that the two center lines are in place. You can use the meat cleaver to create a guide line, then use the scissor to cut off the extra edges off the SIM. Granted, you will need steady hands to make this work. But until MicroSIMS become more prevalent, this nifty little hack would do. Maybe you’ve heard of Nokia’s upcoming N8. 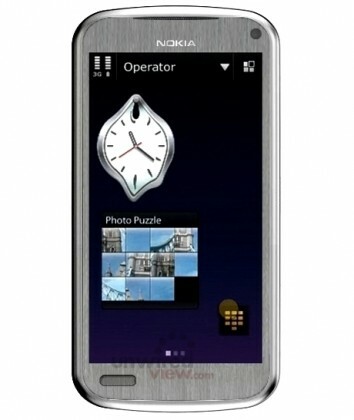 The new Nseries phone, set to overtake the N97 as Nokia’s new flagship phone, is making a huge buzz here on the web. To think the phone’s not even released yet. Whew, that’s quite a lot, isn’t it? The camera alone is enough for anyone to consider getting the Nokia N8. It’s looking like it’s going to be more than a capable content creation device. Throw in the fact that it doubles as a portable entertainment center, people can enjoy HD-quality video with Dolby Digital Plus surround sound by plugging into their home theatre system. I don’t see how you could lose by not having this phone. Oh yeah. The operating system. The Nokia N8 was already given an early review, and the reviewer panned Symbian ^3, going as far as to jokingly accuse Nokia engineers of sabotaging the brand. To be fair, they were testing an early version of Symbian ^3, and we might find an operating system that might just be able to compete against the iPhone. 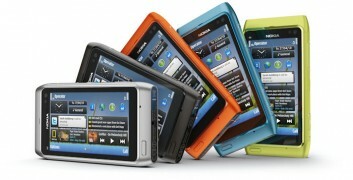 Although knowing Nokia, the first few iterations of the N8 won’t probably be as good as we’d hope it would be. We’re probably better off waiting for a couple of firmware updates. Gravity may currently be the king of S60 Twitter applications, but the thing is it’s not free. Also, there really is nothing that should stop any other app developer from making a Twitter application that can rival Gravity’s reign on the Twitter S60 market. Okay, there’s Tweets60, but I honestly find it to be a bit clunky and once you’re used to Gravity’s gorgeous interface, everything else just pales in comparison. The Nokia Beta Labs have announced that Nokia Messaging for Social Networks Beta is now available for three additional devices; the Nokia E71, Nokia E72 and the Nokia E63. 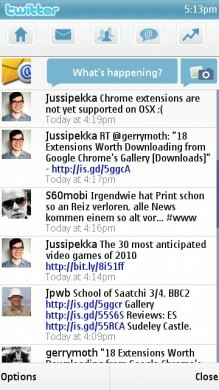 Nokia Messaging for Social Networks a great little solution that provides contextual homescreen widgets that allow you to jump directly to your Facebook and Twitter posts and tweets to comment, has support for live Facebook and Twitter updates pushed to your phone homescreen and moreover gives you multiple ways to interact with your friends and social network circles straight from the client. A bit a warning to those who are going to download Nokia Messaging for Social Networks Beta, though. Since it is beta, the Twitter client is sluggish beyond imagination. 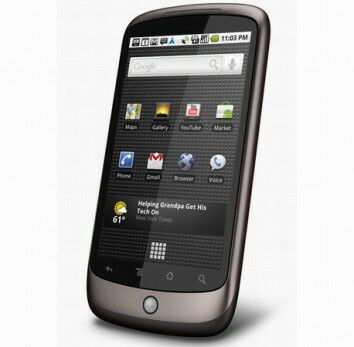 I tried it on my Nokia E63 and I had to uninstall it right away. I won’t go as far as to say that it was slowed down to the point where the entire app became unusable, but the speed is really unwieldy. 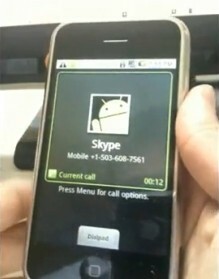 Maybe if it were running on a phone with better hardware like the N97, it won’t be a bad experience. 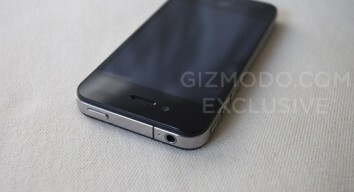 Now, I don’t mean to sound like a fanboy here, but the iPhone still is the best-looking smartphone out there. I may not be totally sold on the iPhone OS and Apple’s Apps Marketplace, but the iPhone’s smooth, minimalistic hardware always appealed to me. 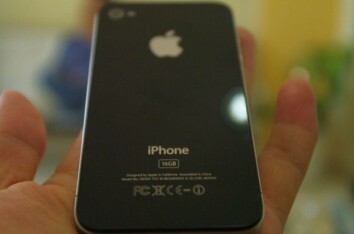 And then there’s the iPhone OS. I know, there’s so much love for the iPhone OS and its huge apps marketplace, but it really is not my cup of tea. I’d rather go for something more… open. Kind of like Google’s Android. 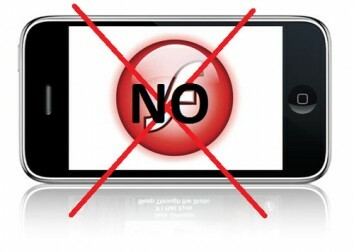 Now of course, we can’t really ask for Google Android to be installed on the iPhone, that’d be a pipe dream. But that never stopped an iPhone hacker known only as Planetbeing from trying. He was able to port Google’s Linux-based operating system. This is probably the first time anyone has done this, and nobody can deny how huge this is. It’s still in alpha version for now, but with some improvements, this would allow anybody to use both iPhone and Android OS on their iPhone. Just like you can do Bootcamp on your Mac to access PC apps, you’ll be able to go on Android to try all these apps that don’t exist, or were not allowed on the iPhone. Imagine for a second that Adobe manages to puts flash on there, well, you’ll get to have it too. Download the Android iPhone port here. Read the original blog post here. You know humanity’s doomed if we get robots that are constantly pushing on the boundaries of the uncanny valley. Okay, maybe I was just exaggerating a bit, but as you can see, Geminoid F, a copy of a woman in her 20s with long dark hair, exhibits facial expressions more naturally than previous androids. However, even though she’s more realistic than other robots, we all could see that she still hasn’t quite overcome the uncanny valley yet and that she’s still – for the lack of a better term – creepy. Ishiguro, a professor at Osaka University, is famous for creating a robot replica of himself, the Geminoid HI-1, a teleoperated android that he controls remotely. The new Geminoid F (“F” stands for female) is also designed to be remote controlled by an operator. In a press conference in Osaka, Ishiguro demonstrated how the android could mimic the facial expressions of the woman as she sat in front of a computer with cameras and face-tracking software.